Image courtesy Pawel Ryszawa via Wikimedia Commons. Many experts have proclaimed the death of the post‑1945 liberal international order, including the human-rights regime set forth in the 1948 Universal Declaration of Human Rights. 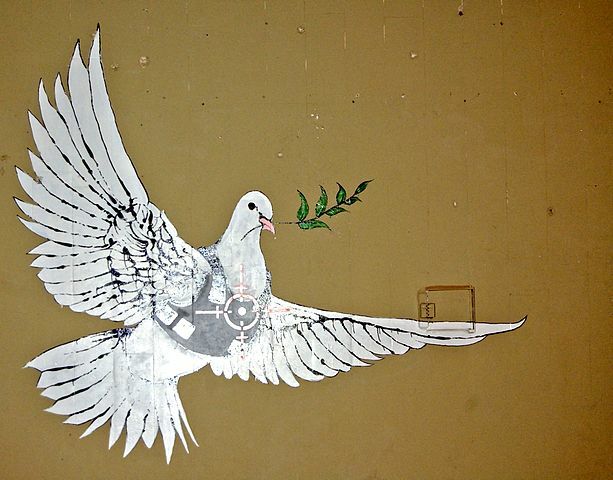 The cover of Foreign Policy recently displayed the white dove of human rights pierced by the bloody arrows of authoritarian reaction. According to ‘realist’ international relations theorists, one cannot sustain a liberal world order when two of the three great powers—Russia and China—are anti-liberal. Writing in Foreign Affairs, Yascha Mounk and Roberto Stefan Foa argue that the era when Western liberal democracies were the world’s top cultural and economic powers may be drawing to a close. Within the next five years, ‘the share of global income held by countries considered “not free”—such as China, Russia, and Saudi Arabia—will surpass the share held by Western liberal democracies’. There are several problems with this argument. For starters, it relies on a measure called purchasing power parity, which is good for some purposes, but not for comparing international influence. At current exchange rates, China’s annual GDP is $12 trillion, and Russia’s is $2.5 trillion, compared to the United States’ $20 trillion economy. But the more serious flaw is lumping countries as disparate as China and Russia together as an authoritarian axis. There is nothing today like the infamous Axis of Nazi Germany and its allies in the 1930s. While Russia and China are both authoritarian and find it useful to caucus against the US in international bodies like the United Nations Security Council, they have very different interests. China is a rising power that is highly intertwined with the international economy, including the US. In contrast, Russia is a declining country with serious demographic and public health problems, with energy rather than finished goods accounting for two-thirds of its exports. Declining countries are often more dangerous than rising ones. Vladimir Putin has been a clever tactician, seeking to ‘make Russia great again’ through military intervention in neighbouring countries and Syria, and by using cyber-based information warfare to disrupt—with only partial success—Western democracies. A study of Russian broadcasting in Ukraine found that it was effective only with the minority that was already Russia-oriented, though it was able to produce polarising and disruptive effects in the political system. And the revival of Cold War–style information warfare has done little to create soft power for Russia. The London-based Soft Power 30 index ranks Russia 26th. Russia has had some success cultivating allies in Eastern Europe, but it is not part of a powerful authoritarian axis such as existed in the 1930s. China is different. It has announced its willingness to spend billions to increase its soft power. At meetings in Davos in 2017 and Hainan in 2018, Xi Jinping presented China as a defender of the existing international order, but one with Chinese rather than liberal characteristics. China does not want to overturn the current international order, but rather to reshape it to increase its gains. It has the economic tools to do so. It rations access to its huge market for political purposes. Norway was punished after the dissident Liu Xiaobo was awarded the Nobel Peace Prize. Eastern Europeans were rewarded after they watered down European Union resolutions on human rights. And Singaporean and Korean companies suffered after their governments took positions that displeased China. The Chinese government’s massive Belt and Road Initiative to build trade infrastructure throughout Eurasia provides ample opportunities to use business contracts to wield political influence. And China has increasingly restricted human rights at home. As Chinese power increases, the global human-rights regime’s problems will increase. But no one should be tempted by exaggerated projections of Chinese power. If the US maintains its alliances with democratic Japan and Australia, and continues to develop good relations with India, it will hold the high cards in Asia. In the global military balance, China lags far behind, and in terms of demography, technology, the monetary system and energy dependence, the US is better placed than China in the coming decade. In the Soft Power 30 index, China ranks 25th, while the US is third. Moreover, no one knows what the future will bring for China. Xi has torn up Deng Xiaoping’s institutional framework for leadership succession, but how long will Xi’s authority last? In the meantime, on issues such as climate change, pandemics, terrorism and financial stability, both an authoritarian China and the US will benefit from cooperation. The good news is that some aspects of the current international order will persist; the bad news is that it may not include the liberal element of human rights. The human-rights regime may face a tougher environment, but that is not the same as a collapse. A future US administration can work more closely with the EU and other like-minded states to build a human-rights caucus. A G10, comprising the world’s major democracies, could coordinate on values alongside the existing G20 (which includes non-democracies such as China, Russia and Saudi Arabia), with its focus on economic issues. Others can help. As Kathryn Sikkink points out in her new book, Evidence for hope, while US support has been important to human rights, the US was not always very liberal during the Cold War, and the origins of the regime in the 1940s owed much to Latin Americans and others. Moreover, transnational rights organisations have developed domestic support in numerous countries. In short, we should be concerned about the multiple challenges to liberal democracy during the current setback to what Samuel P. Huntington called the ‘third wave’ of democratisation. But that is no reason to give up on human rights. This article is presented in partnership with Project Syndicate © 2018. 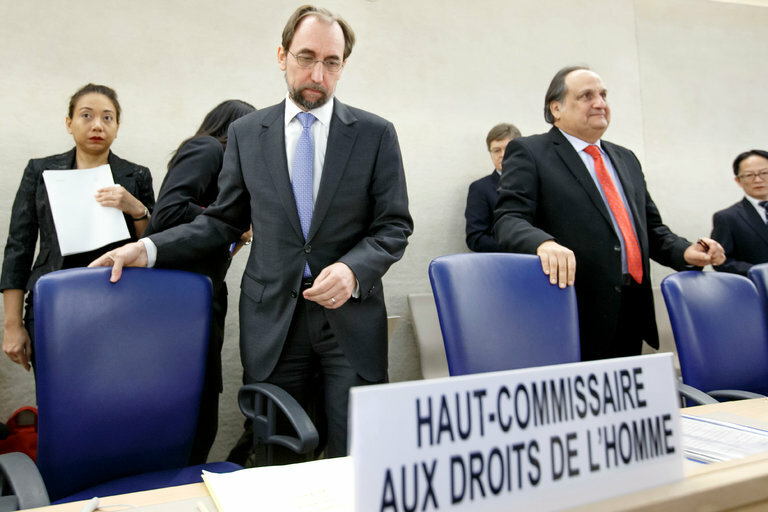 The United Nations High Commissioner for Human Rights, Zeid Ra’ad al-Hussein, has made the unusual decision to not seek a second four-year term. The decision was conveyed in a short statement that was emailed to his staff early this Wednesday and shared with some media. “Next year will be the last of my mandate”.. “After reflection, I have decided not to seek a second four-year term. To do so, in the current geopolitical context, might involve bending a knee in supplication; muting a statement of advocacy; lessening the independence and integrity of my voice — which is your voice.” “There are many months ahead of us: months of struggle, perhaps, and even grief — because although the past year has been arduous for us, it has been appalling for many of the people we serve” . This is very much in line with his courageous statements and actions over the years often referred to in this blog [e.g. https://humanrightsdefenders.blog/2016/09/14/un-high-commissioner-for-human-rights-states-may-shut-my-office-out-but-they-will-not-shut-us-up/]. Still, a blow to the international human rights movement. While most high level United Nations officials serve as long as their mandate allows, no single Human Rights Commissioner has served a full four-year second term. Zeid’s four-year term expires next September. It has been clear for months that some of the five veto-wielding permanent members of the United Nations Security Council would use their influence to block it. Mr. Zeid al-Hussein – to his credit – has been critical of all of them. He has been outspoken about the Russian-backed government of Syria. He has warned of the prospects of genocide by the Chinese-backed government of Myanmar. And he has called out the Trump administration several times, most pointedly on the travel ban against citizens of Muslim-majority countries and after the demonstrations by white supremacists in Charlottesville. Mr. al-Hussein’s willingness to take on the powerful by name, along with what he has described as the “eye-watering stupidity” of abusive governments, made him few friends. Mr. al-Hussein proved confounding to many by defying classification: the first human rights chief from the Middle East but a sharp critic of violations by Arab governments; a Muslim who condemned Islamic militants; and a Jordanian prince who discarded his title to take the job and become an advocate for victims. – Trump has rushed headlong into creating further divisions and has begun an assault on human rights and basic decency — including a de facto ban on many Muslim refugees from entering the United States and the resurrection of CIA “black sites“ — and promises more to come. – The new president exalts torture, mocks the disabled, casts aspersions on those who defend human rights, appeals to racist sentiments through coded and not-so-coded language and denigrates women in both word and deed. – He shows no regard for the Geneva Conventions or the painstaking work of generations of human rights activists, many of them American, to ensure that civilians are not abused in times of conflict and that the vulnerable are protected. – For good measure, he seems to demean virtually every restraint that protects the citizen from the state. His first call as president to a foreign leader was to President Abdel Fattah al-Sisi of Egypt, who crushed the protests against army rule, devastated Egypt’s civil society with draconian laws targeting human rights defenders and turned Egypt’s legal institutions into “kangaroo courts.” A chilling signal indeed. Say what you will, Trump has clearly laid down the gauntlet that places the most powerful of nations on the side of the privileged and signals that human rights will be honored only in the breach. This can hardly be a surprise, given his campaign rhetoric that called openly for torture and other serious crimes that violate international and domestic law. ….. The whiff of McCarthyism is in the air for those of us who do not define ourselves as allegiant to Trump’s vision of America. The inaugural speech and Trump’s first actions also send powerful messages regarding the struggle for human rights across the planet. The consequences of his dark vision will be dire. The record of the United States is patchy at best in terms of promoting human rights abroad, but it has played an important role in a number of areas, commencing with Eleanor Roosevelt’s work on the Universal Declaration of Human Rights. This abdication of American support for human rights will not only undermine those countries that respect human rights but will also embolden those who seek to undermine the United Nations and other institutions that have advocated for and protected those rights. The emerging Trump-Putin partnership will mean that victims of human rights abuses around the world will have nowhere to turn to, as avenues to redress, accountability and acknowledgement of the violations close down. The question is, what can we do? What is our responsibility as human rights defenders, but also as citizens of the United States and the world at large? While there is not a single “silver bullet” to take on what we will face ahead, we need to move past “conversations” and start organizing. It is hard to imagine — in this diverse and app-based world of today — that a single organization can take the lead in such a movement, like the Southern Christian Leadership Conference (with lots of allies and competition, of course) did for the Civil Rights Movement. However, it is clear that a coalition of forces must emerge in American civil society to provide the backbone of resistance to the Trump agenda. We cannot afford atomization along the lines of our specific causes, be they accountability for human rights violations, racial injustice, inequality, LGBTI rights, indigenous rights or other human rights causes we support. If we are to have a chance to stop Trump’s destructive agenda, we must unite and act as a movement as strongly against the Dakota Access Pipeline as against a registry for Muslims or systemic police violence against African-Americans. Our goals in protecting human rights in the United States must be as clearly defined as our actions must be coordinated. The time for action and resistance is now. I and the organization that I lead, the International Center for Transitional Justice, have over the years had a great deal of experience in addressing the abuses of regimes across the world that disregard human rights and commit abuses. Once rights and the institutions built to protect them are pushed to the side and the strong man reigns, the path to violations becomes real and the difficulties of re-establishing the rule of law become very steep indeed. The warning signs here in the United States are now laid bare. They should be a call to action for us all.